After a long day walking the halls of Outdoor Retailer’s Summer Market in Salt Lake City, Fred, Taylor, Jeremy, and I are lounging in the living room of our Airbnb. The table is buried beneath a cloud of fabric swatches and bag samples. We were tired when we arrived a few minutes earlier. Now, we’ve been rejuvenated like children on Christmas morning. If the coffee table is any indication, we’re certainly acting like kids. Today is an exciting day. We’re making our final selection for what would become the Setout travel backpack. After hurriedly unpacking boxes covered in Chinese characters, we’re playing with the the four completed samples. Two designs. Two fabric options for each design. One immediately leaps out to us as worthy of bearing the Tortuga name. The fabric, on the other hand, is a more difficult choice. Though very similar in their specifications, each option has pros and cons. One classic, black. The other, a subtle textured gray. After a heated debate and a good night’s sleep, we select the gray. Painstakingly, we select every color, curve, and component in each of our bags; pursuing perfection meticulously, to the point of driving our partners crazy. Our process for selecting fabric is no exception. In fact, in most cases, we source our own fabrics. Even the best factories can’t find what we need to make the best possible travel backpacks. Many factors are considered in making our fabric choices. For us, there is no perfect option because there is no perfect bag. Each bag we design has a different set of requirements. Each set of requirements demands a different fabric specification. In general, we consider 6 core factors when selecting our fabrics: performance, cost, partnerships, aesthetics, user experience, and environmental friendliness. These factors are not listed in order of priority. Each project we take on has a different set of priorities. Instead, these factors are balanced in each project, based on the goals and requirements of that project. Let’s walk through each of these factors so you can understand how we consider them when developing our new products. While the importance of the other factors on this list may fluctuate, performance consistently ranks as the highest priority for selecting fabrics and components. We strive to build bags that perform their intended function to the highest possible degree. That phrase “intended function” is very important to this conversation. Every product collection we create has a distinctively different intended function. If they did not, there would be no point in creating distinctive product lines. With the Outbreaker backpack, we wanted to create a fully featured line of “bullet-proof,” weatherproof bags. 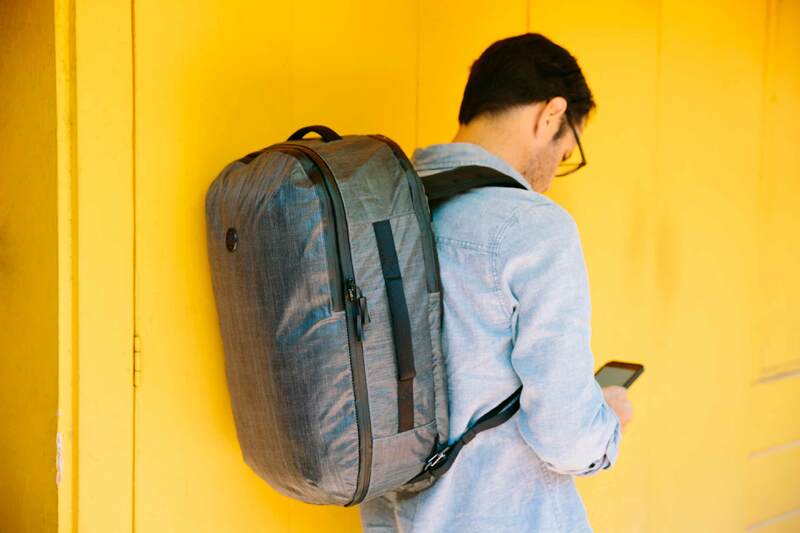 A bag that could stand up to virtually everything a city traveler could throw at it. We wanted to create a panel loading bag that would protect your belongings without a raincover, even in a hurricane or a “bomb cyclone” like the east coast just experienced. At the same time, we were cognizant of airline imposed weight requirements. Because our robust feature set inevitably added weight, we couldn’t choose some of the heaviest fabrics out there. We also knew that simply adding a DWR coating to a bag wasn’t a good enough. For us, that meant the perfect fabric was Dimension Polyant’s VX21. VX21 isn’t really a fabric, at least not in technical terms. It’s a 4 layer laminate. The outer face is made of 210D Nylon pack cloth. This is a fairly common and unremarkable material. The other layers are where things get interesting. The second layer of VX21 is the X-pack layer. This is a layer of high density polyester filament that eliminates stretch, dramatically increases the strength of the laminate, and prevents holes from growing. The next layer is a really, really thin sheet of PET plastic. That’s the same stuff soda bottles are made of and means that this fabric is completely waterproof. The final layer is a thin 50 denier polyester taffeta backing that primarily serves to protect the PET layer and extend the life of your bag. Prioritizing performance does not always mean that we will use an exotic fabric. 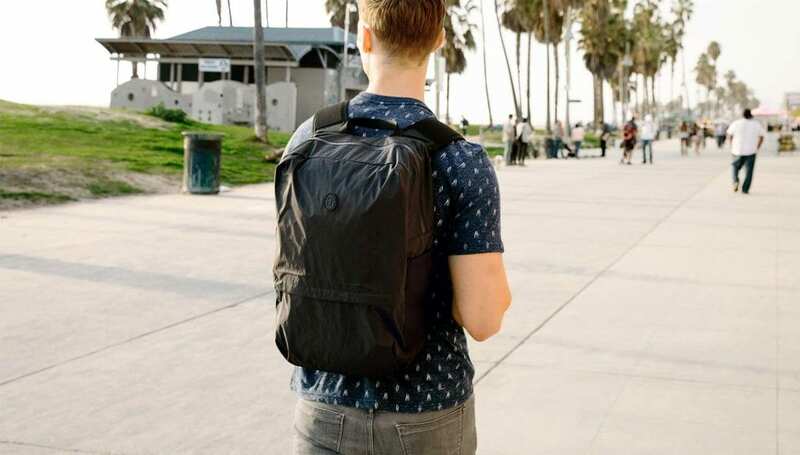 In some cases, like the Setout, using a super high tech fabric is not the best way to build a bag that performs its intended function to the highest possible degree. With the Setout, we wanted to create a bag that would blend seamlessly into a cityscape, as much as is possible for a 45L backpack. We wanted Setout to be a bag that looked, felt, and sounded as familiar as possible while still being distinctively different than its competition. In that case, using a unique, but less high tech fabric was the right choice. Cost considerations are a bit of an open secret in the product development world. Everyone considers cost when they develop new products. No one wants to admit that they do. In fact, for most large brands, cost is the primary driving factor behind product decisions. At Tortuga, cost is not the main factor in developing our products, but I would be lying to you if I told you it wasn’t a factor. If you manufacture in the US (or Western Europe, Canada, etc. ), labor is typically the biggest cost. If you manufacture in China (or Vietnam, Eastern Europe, etc. ), materials will likely be the biggest cost. In the capitalistic society we live in, it impossible and negligent to simply ignore costs. I’ll give you a few examples of how costs come into play at Tortuga. When we launched the Outbreaker backpack, we were met with skepticism from some people “in the know.” They argued that there was no possible way we could be using Dimension Polyant VX-21 in our backpack. They knew how much the fabric cost at scale and they made assumptions about how much fabric was used in a 45L bag. Mentally, they could not make the math work. These astute observers also knew that a raft of material suppliers and bag brands had begun using a fake version of VX-21 that costs half what the original costs. I know. I have the knock-off fabric swatch sitting on my desk next to my laptop right now. I’m resisting the urge to name names, but you know who you are. That was because they were basing their pricing assumptions on a traditional retail model. Because we sell direct, we don’t use a traditional retail pricing structure. The method we use for translating our costs to your prices allows you to get a better value for every dollar you spend. At the same time, we can’t just ignore cost when we develop our products. Our VX-21 (Outbreaker) and LS21 (Homebase) are more expensive. When we designed the Setout backpack we knew we wanted to create backpack with a price point below $200. Our goal with Setout was to develop a product that returned to our roots; a bag that would be familiar, ultra functional, and cost effective. Which meant that using next generation fabrics simply was not feasible or appropriate. For the sake of transparency, the core difference in cost (and by extension price), between the Setout 45L backpack and the Homebase 33L backpack is material costs. The core differences in cost between Setout and Outbreaker are material costs and the costs of the added complexity of the features in the Outbreaker. In each case, we are confident we made the best decision based on our goals for each bag. We just want to be clear about how our decisions affect the prices you see on our website. Tortuga is a small company. We do not (yet) have have the resources of brands like Nike or Samsonite. Those companies can afford to use their bottomless pit of money to develop new materials and manufacturing processes. That means we have to be creative in order to innovate in this space. One way we do so is by partnering with like-minded brands who believe in our values. These partners share our vision for creating innovative products. They are willing to devote resources to help us solve your problems. Sometimes that means giving a company that primarily exists in one market an opportunity to move into another. The molded EVA shoulder straps used in our Homebase and Setout backpacks are made in a factory that primarily produces the soles for running shoes. We had an interest in using their technology to create a shoulder strap that has excellent airflow, molds to your body over time, and provides support where you need it most. Our partner wanted to expand into another market. We were able to work together to provide you with the kind of value that most brands our size cannot. The Ariaprene used in our Homebase and Outbreaker products is another example of using a running shoe technology to make your experience with our bags better. Nike, Adidas, and other running shoe manufacturers use Ariaprene to make shoes that feel great against the skin, have excellent airflow and support. They also want a material that is ultralight, incredibly flexible, quick-drying, and hypoallergenic. We want our back panels and shoulder straps to have the same qualities. As a result, we were able to work with Ariaprene to create a custom material package that is perfectly suited for our needs. Our relationship with Dimension Polyant is the best example of using our partnerships to deliver more value than our size would typically allow. When we specified VX-21 for our Outbreaker bags, we knew we were making the right material choice for the problem we were trying to solve. The size of our fabric order also gave us an inside look at what DP was developing and an intimate relationship with the firm. When it came time to specify the fabric for our ultralight Homebase bags we knew DP would have a great option. On our website, we say that we use their LS21 for this bag, but that’s not 100% true. We are actually using a completely custom laminate that we worked with DP to develop for our needs. Our fabric is both lighter AND stronger than off-the-shelf LS21. We’ve also developed a custom color that we think creates a much better user experience than the standard option. The fabric we created is not right for everyone, but it was the best option for our Homebase products. At Tortuga, we leverage our partnerships with suppliers to create products that other brands our size cannot. We spend a great deal of time and energy finding partners who believe the things that we believe. They, in turn, are willing to help us create better products that provide you with more value. Every fabric and component looks and behaves slightly differently. While taken in isolation, these small differences may not seem important, they have a profound impact on the way you experience our products. Take our Homebase and our Setout backpacks as an example. With Setout, we wanted to create a functionally innovative experience that feels familiar. To do so, we selected a fabric that looks, feels and, perhaps most importantly, sounds like a traditional work backpack fabric. Made using traditional weaving techniques, it uses DWR coatings to enhance its performance. With the Homebase backpack, we wanted to create an ultralight, highly technical product. The “fabric” we chose isn’t really a fabric at all. Instead, it is a laminate that combines two disparate materials. The outer layer is a waterproof sheet of random array, non-woven filaments that provides increased abrasion resistance at a minimal weight gain. This is joined to a white nylon backing fabric that makes it easy to find your belongings inside of the bag and protects the vulnerable back side of the non-woven layer. Our custom Homebase “fabric” looks, feels, and sounds quite different than a standard fabric. We know. We did that on purpose. We also know that not everyone will like it. That’s okay, we don’t expect everyone to like our products. Our hope is, that, for some people, we build products that are significantly better than anything else they can find. Tortuga is not, explicitly, a “green” brand. Being environmentally friendly was not one of our founding principles. Tortuga is, however, made of up individuals who are committed to making the world a better place. One way we can do that is by making products that last longer and use resources more responsibly. As a result, whenever we can, we use the most environmentally friendly materials we can find. The best example of this is our recent decision to change our liner fabric. Originally, our Homebase and Outbreaker backpacks were lined with 210D Ripstop Nylon. Recently, we discovered a partner who can build 100% post-consumer recyclable 200D Polyester made from used soda bottles. This is the fabric that we are using to line our Setout backpacks and it will be used in future orders of our Homebase and Outbreaker bags. We wish it could be in every bag in our warehouse, but throwing away perfectly good bags wouldn’t be very environmentally friendly. Would it? Looking for ways to make our products more sustainable is a constant effort. This is unlikely to be something we make a big deal about, because it’s not a marketing ploy. It’s just the right thing to do. Performance is always considered first. Performance is, and likely always will be, our primary concern when determining which fabric is appropriate for one of our products. The other factors are all important, but their level of priority will vary for each product and collection we create. 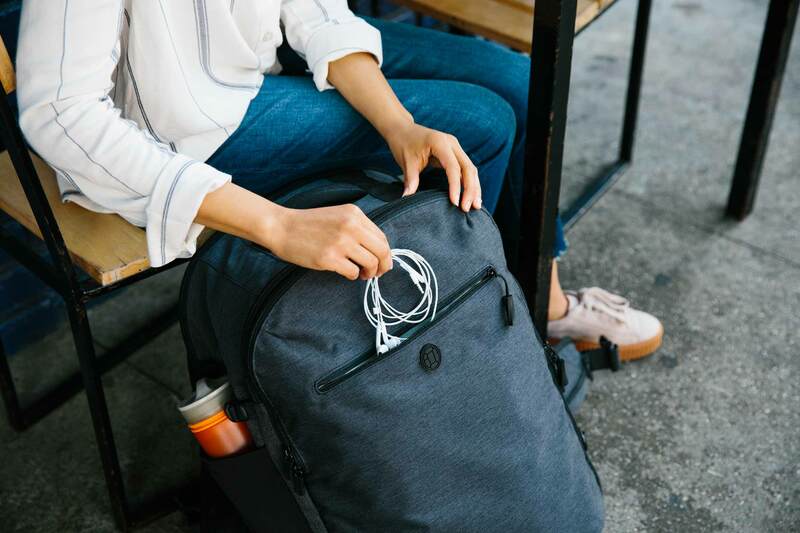 Tortuga was founded to create better gear for city travel. While “better” is a relative term, we always seek to add new value and fill unmet needs for different types of city travellers and for different city travel scenarios. Our process for selecting fabrics is merely an extension of this ethos.